Skip shipping charges and print your gift certificate at home instead! As soon as the order is paid, you will receive a confirmation email from us containing the gift certificate as a PDF. 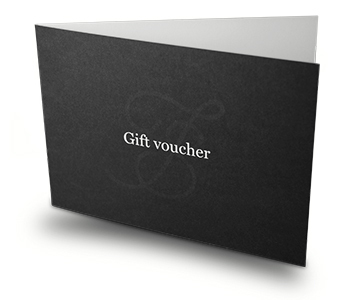 You can even download the gift certificate at any time via your customer account. Perfect for friends, colleagues, or family members, The Tailor Store Gift Voucher Starter Kit gives your special someone everything the need to experience the luxury of made-to-measure clothing. 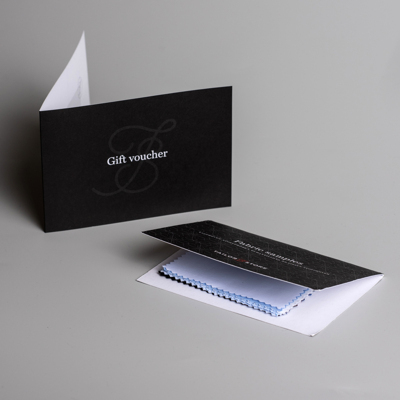 Each gift voucher starter kit includes: a fabric samples pack and a gift voucher of your chosen amount.